Drone makes humankind closer to the sky.The procedures of making mechanical or functional prototypes of your airplanes and test them diligently are vital. 2.Try to test them without being inside. Or get a parachute at least. Fortunately, modern manufacturing and aerial engineering give us the opportunity to do both. We can control our aircraft prototypes remotely and we can create prototypes in a short amount of time. Drones have become the ultimate amateur airplanes. They are light, small easy to fly and you can actually manufacture them personally, which attracts a lot of people who like to tinker with mechanisms. However, drones were around much earlier. The first mention of them dates back as far as the 1920s. First tries to make drones haven't been successful. 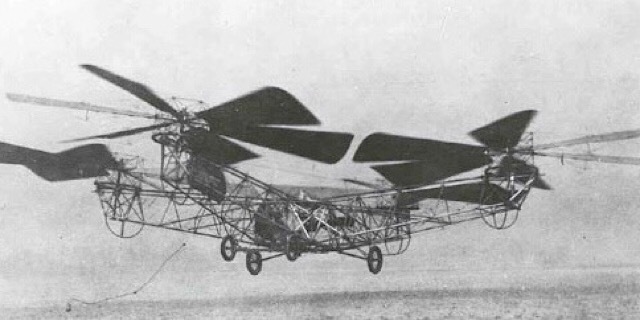 There were a lot of separate inventors who managed to create prototypes of helicopters with 4-6 rotorcraft engines. These planes were too unstable, unsynchronized and strained the pilot too much, so their development was mostly abandoned until the recent times. With the modern developments in aeronautics and electronics, the previous technical difficulties with drone functions have been mostly overcome. The drones became unmanned since the pilot problem was the only one standing. However, there isn't any need for a pilot anymore. You can just mount it with a camera and get a remote control. Modern electronics make the design of this vehicle really simple so a lot of people make drones as a hobby or buy them to make great films, art, deliver things or even spy on the neighbors, who knows. 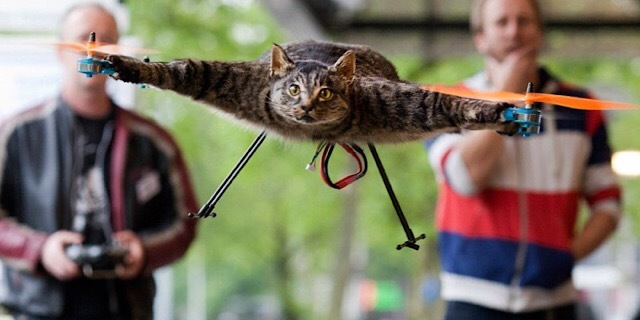 There is even a story of a man who decided to immortalize his cat by making it into a quadcopter. What does a drone consist of? Motors. You may need 4-8 motors depending on how many rotorcrafts you'll want. The motor determines how fast the blades of the drone revolve and so, its power capacity. There are a lot of motor manufacturers who offer cheap and reliable solutions. Electronic speed controls. These are the devices that will synchronize your propellers and prevent your drone from acting crazy. They are also very cheap and easy to find. Propellers. Now, these are the main moving parts of the propeller. Their blades have complex geometry and their size and form will depend on the weight and size of the frame so you will probably have to order them together with the frame. Batteries, connectors, and controls. Some smaller electronic parts will be needed for secondary operations. Such as connectors, batteries, and a receiver with a remote control to fly the drone. You'll probably need a camera too since flying the drone without one is like walking with one leg. As you can see, the modern industry offers a lot of prepared solutions for drone manufacturing. Since making electronic devices is a complex and expensive project in itself, I advise that you just buy the existing parts, whether you are a hobbyist or you plan on selling the things. If your sales grow, then you can think about doing your own circuits. With that, we are left with two main custom manufactured parts that are essential for the performance of the drone. Sure, You'll have to make some additional connectors and battery enclosures. However, their design poses no problem and can be 3D-printed with a flick of the fingers. So, Frames are really important for the stability and overall structure of the drone. As you learn to fly your aircraft, you are sure to crash into things and damage the frame, so it should also be easy to replace or fix. 1.Wood.The cheapest material that is the easiest to process and can be formed into the frame with the simplest of tools. The appearance and reliability of such a drone are not high. It is easy to replace but expect it to break at the smallest of impacts. Basically, it's a good choice for hobbyists. The frame is usually machined on a wood lathe or with a simpler instrument and is then glued together. 2.Plastic.It's the most obvious choice. A lot of polymers are lightweight, have the high tensile strength and, the best yet can be rapidly processed using modern technologies. For example, plastic frames can be manufactured using 3D-printing or Urethane Casting prototyping techniques. This makes it a really good choice for creating commercial drone model prototypes. You can easily make a small batch with RP techniques, assemble them and conduct tests. And, when you are ready, order an Injection Mold. 3.Aluminum. You should choose this material to make the most durable and sturdy systems, which will withstand a lot of stress. It is also the heaviest of materials. Usually, such a frame will be CNC machined. 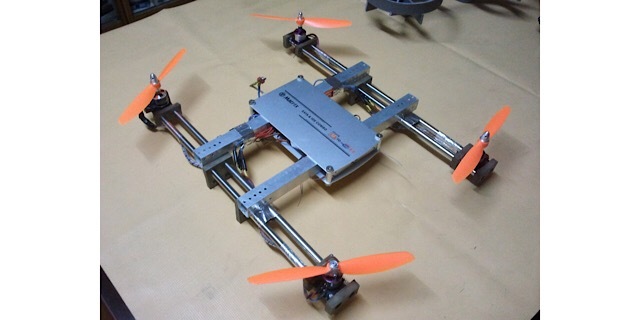 You should use aluminum frames if you create professional industrial drones only. Or if you have already conducted tests and approved of the design, and you want your drone to look really good and shiny. Propellers are the most complex parts of the drone design. You have to actually calculate its geometry depending on the weight of your drone to reach the required thrust. Fortunately, there are a lot of services that will help you do it.If you find the geometry too complex. you can always order the blades from a prototyping shop, where competent engineers will design, calculate and manufacture the perfect propellers. So, obviously, the diameter is important. The larger the blades the more air the propeller can pump. However, you should note that the propellers need to be in sync to prevent them from hitting each other. That is why larger propellers give off worse maneuverability. 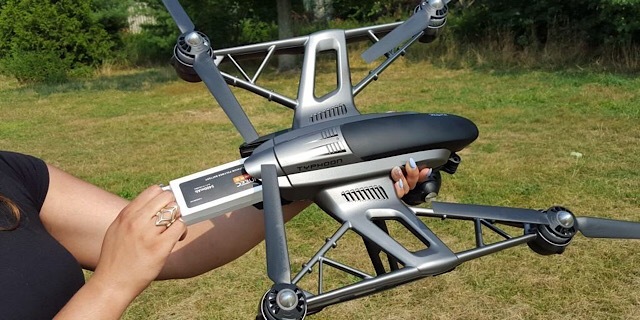 You should choose what fits you best: a larger drone load or better maneuverability. Atack angle is another important feature of the blade. It's basically at which angle the propeller hits the air and deflects it. The larger the better the efficiency of the blade, however, the larger motor is required since wind forces will be larger. The attack angle gest lower closer to the center of propellers that have a constant pitch. However, with an alternating attack angle, the geometry of the propeller becomes too complex. The propeller blades are mostly 3D-printed or cast using silicone forms as plastic frames are since those methods are the most efficient in achieving complex geometry with low costs and time. The blades are post-processed afterwards because good surface finish lowers the vibration of the drone in flight. You should remember to balance the propellers as well. It is an easy process. You can do it with a pencil and a knife. Just mount the blade on a pencil that is set horizontally. The propeller will most likely turn around its axis. So, cut off a little from the root of the blade, which tends to stay at the bottom area of the pencil. Repeat this until the blade doesn't turn when you mount it on the pencil.